LISTEN / BUY here - http://www.austinpsychfest.com/store/night-beats-sonic-bloom-lp-cd-mp3-cass/ The Reverberation Appreciation Society is proud to announce the release of the new Night Beats record, Sonic Bloom on September 24, 2013 on vinyl, cd, digital download and cassette (co-release with Burger Records!). In conjunction with the announcement, Night Beats are debuting their new track "Outta Mind" off Sonic Bloom, available for posting HERE. 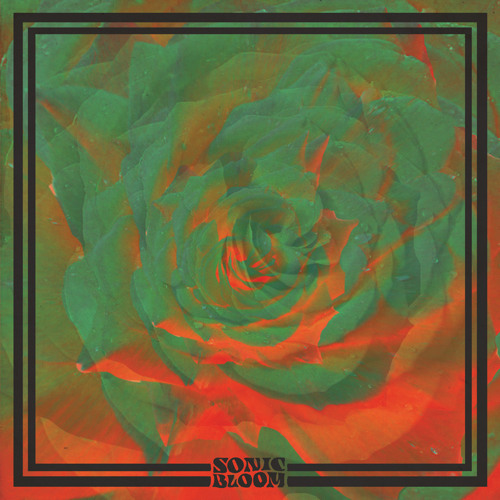 Recorded in a Tacoma, Washington warehouse, Sonic Bloom is an explosion of reverb soaked rock and soul blended with sharp drone numbers and classic rhythm-and-blues founded tracks. From the haunting psychic groove of 'Seven Poison Wonders' to the sparse Zombies influenced 'Playing Dead' to the squealing ruckus of 'Rat King', Sonic Bloom harkens back to the outer corners of rock and roll radio of yore. The Seattle-based band have spent past few years relentlessly touring, hitting over 20 countries. The trio -- featuring Danny Lee Blackwell on guitar/vocals, Tarek Wegner on bass/vocals, and James Traeger on drums/vocals -- will keep up this pace, touring this fall in support of Sonic Bloom. Enqued in the playlist for next ROCKSIDE monday 25 9PM on radio-active.net! I like the heavy live version. more sick.